In July the government announced a new commitment to improve end of life care in England in response to What’s Important to Me: A Review of Choice in End of Life Care (the Choice Review). The Choice Review was conducted by an independent group chaired by nurse and CEO of the National Council for Palliative Care Claire Henry (see expert comment). 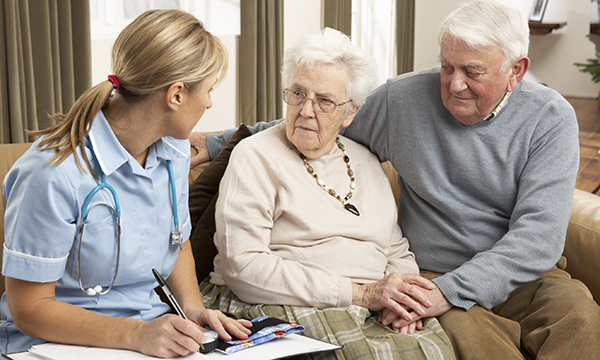 It was commissioned by the coalition government in 2014 to provide advice on improving the quality and experience of care for adults at the end of life and for their families and carers. Published in 2015, the Choice Review made comprehensive, costed recommendations for delivering personal choice at the end of life, including more funding for palliative and social care services to ensure that more people can die in places of their choice, usually their home. The government’s response to the Choice Review includes six commitments to the public to improve end of life care by 2020. Honest discussions between care professionals and dying people about physical, mental and spiritual needs. Dying people making informed choices about their care, supported by published information. Personalised care plans for all. The discussion of personalised care plans with care professionals. The involvement of family and carers in dying people’s care. NHS and care professionals will be expected to reflect the commitments in their work. There will be improvements in training for clinicians on end of life care, including a national plan to share best practice among NHS staff. Pilots of new ways to support clinicians initiate meaningful conversations with dying people will be launched in Southend and Airedale. A potential new role of care co-ordinator will also be tested with the aim of helping patients have more choice and control at the end of life. Community care pilots, including 24/7 specialised nursing services for end of life care, will be tested in a number of areas. Additionally, the NHS will support the increased use of electronic patient records for people nearing the end of life to enable the recording and sharing of end of life care choices by 2020. ‘I’m pleased by the overall vision set out in the government response. They have clearly acknowledged our report, and taken its recommendations seriously. ‘It will be vital that we continue to work with the government to ensure all these commitments are realised as part of all future care delivery. Numbers of people dying each year are starting to increase, and we’ll only get one chance to get it right for them. Dying patients will have round-the-clock access to a nurse or other palliative care professional as part of the government’s plans to improve end of life care. Palliative care professionals will help patients or families who need support with symptom control or deterioration late at night, states health minister Ben Gummer in a foreword to Our commitment to you for end of life care. They will also be on hand to answer questions of fellow healthcare workers who need support. A need for end of life care to be part of undergraduate nursing degrees and continuing professional development training programmes is highlighted in the document. All staff involved with dying patients should be able to conduct difficult conversations about death and dying, and provide opportunities to develop, review and update personalised care plans with dying patients.